17 Oct How to choose the right garage door? Choosing the right garage door can be surprisingly difficult and time consuming – after all, a garage door can have a significant impact on the look and feel of your home. Garage doors now come in a wide range of styles and materials to suit every style of home. To help you navigate through the maze of options, we’ve prepared this handy guide on the important things to consider when choosing a garage door. First, consider your home’s design. This will play a critical role in your choice of garage door. 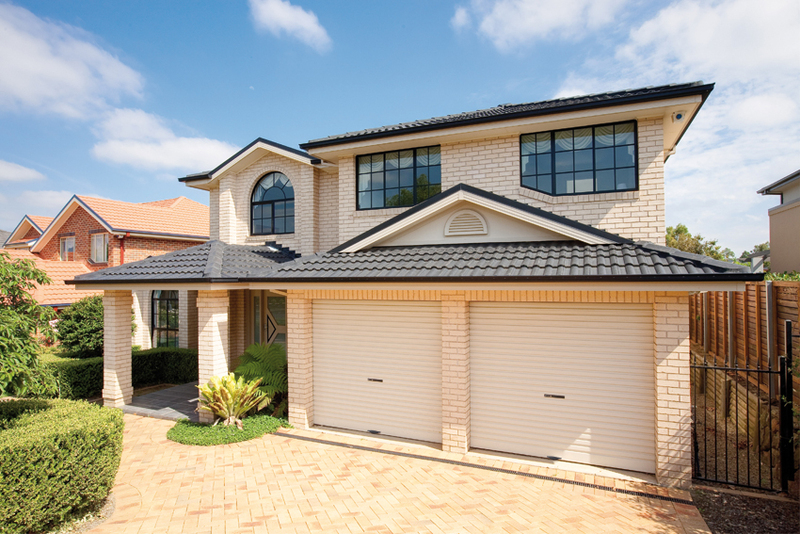 Often, an older house will need a different type of garage door than a modern house. To start narrowing down your options, it’s a good idea to measure your garage’s opening and the area above where the door will sit, known as the ‘headroom’. You will need to take these measurements to a professional garage door specialist who can help you select a door that will fit perfectly within your home. There are multiple styles of doors, including B&D roller doors, sectional doors, flex-a-door garage doors, and tilt panel garage doors. Roller doors are especially suited to garages which have lots of headroom above the opening and homes that desire a traditional look. Sectional doors work with a wide range of home designs and offer the most customisation in terms of aesthetics. Flex-a-door garage doors work best in homes that do not have much headroom for a rolling door. When selecting a garage door, the next step is to choose your garage door’s material. While it can be easy to dismiss your garage door as simply a functional door that protects your vehicles and storage, your garage door will also need to stand up well to the elements. That’s why it’s a good idea to choose a door that suits your home’s environmental conditions. For example, if you live in a cyclone-affected area, you will need a stronger door, such as steel. If you live at the beach, you will need a garage door material that will not rust, such as aluminium. If you live in a cold climate, you will need a door that will withstand low temperatures. Would you like to receive an obligation free quote on a garage door? Get in touch with D&K Doors today – and receive expert advice from Brisbane’s leading garage door specialists.